Valentine's Day Archives - Page 3 of 13 - Pebbles, Inc.
Amanda here, & today I am sharing some Valentine’s Day card inspiration with our gorgeous Forever My Always collection! I just adore this holiday! 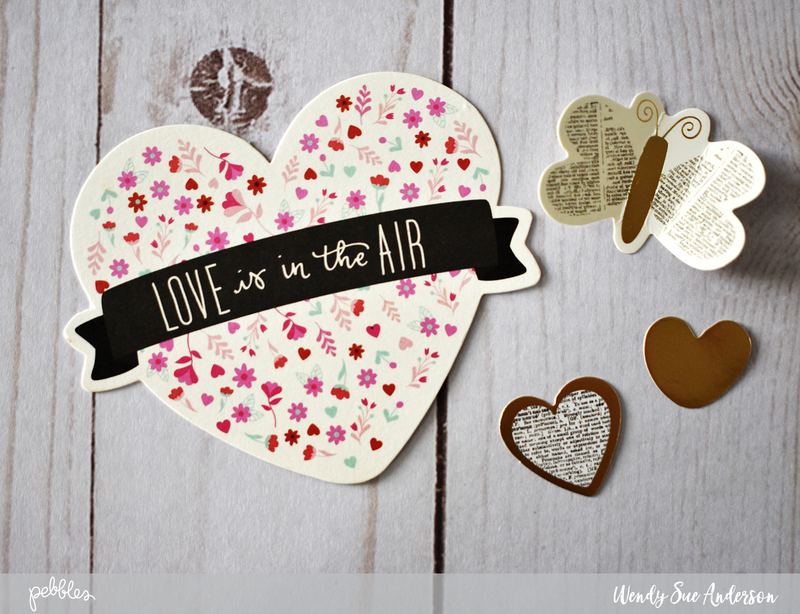 Nothing more beautiful than proclaiming your love (or secret admiration) to that special someone! I am so blessed to have three very special people in my life; a loving husband, and two darling children! I have created a trio of Forever My Always cards to surprise them with…. Oh aren’t they something?! 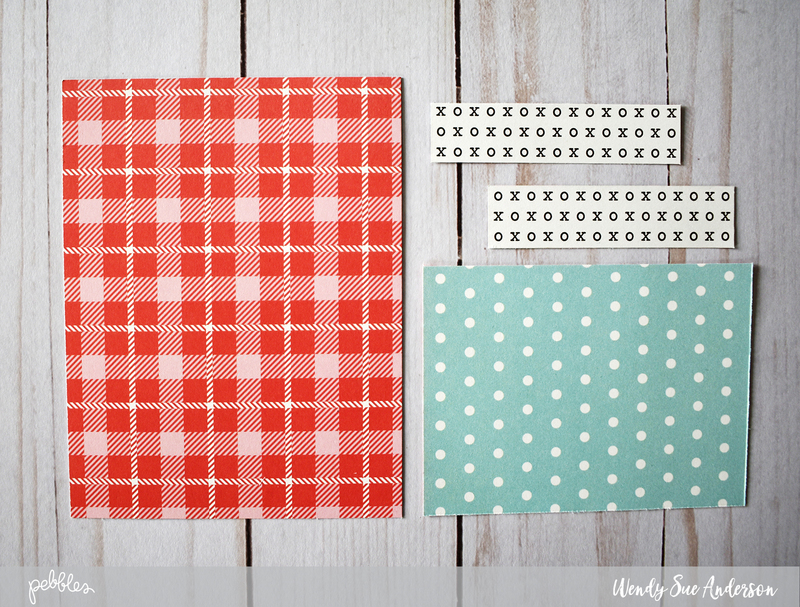 3 pattern papers, three very pretty cards! Here’s how to recreate them! 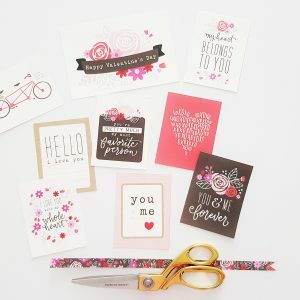 Start with trimming up pattern paper, XOXO Quotes. 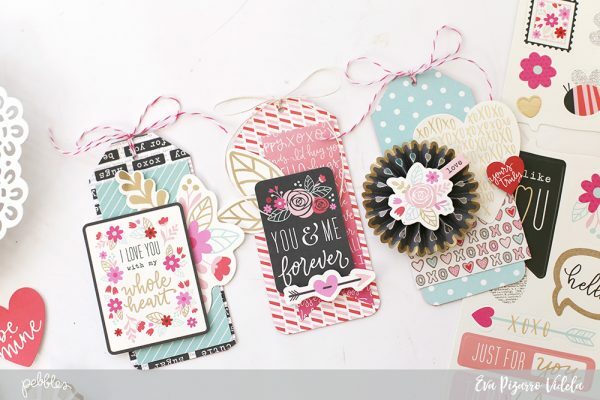 The 3×4 journal cards on this paper make card making a dream! 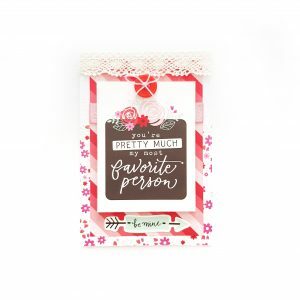 Select which sentiments work best for your beloved – everything in this line coordinates beautifully, so any of the XOXO Quote cards will be perfect! 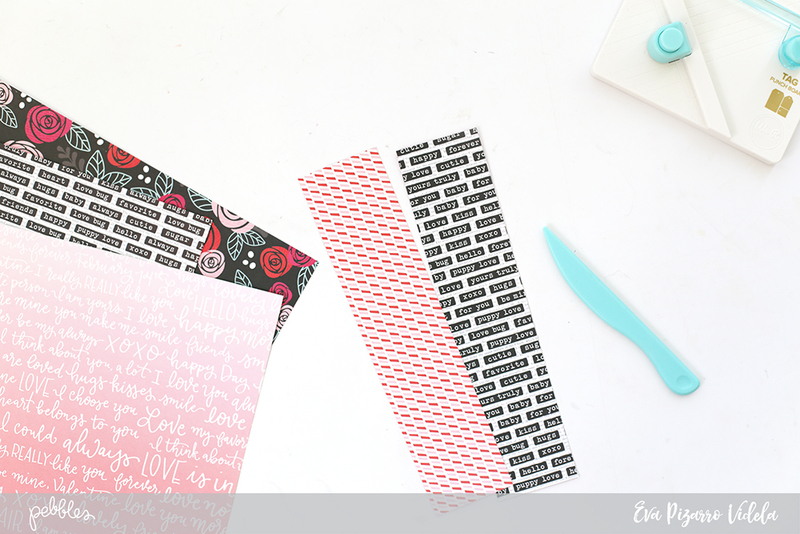 Tip: I even trim the reverse (pattern side) of the barcode strip, to use in my cards too! My card ‘planning’ starts off by arranging pattern papers with the trimmed 3×4 journal cards, and a few pieces of ephemera…. I like to shuffle my pattern papers around and make sure I’m happy with my design before I start gluing. 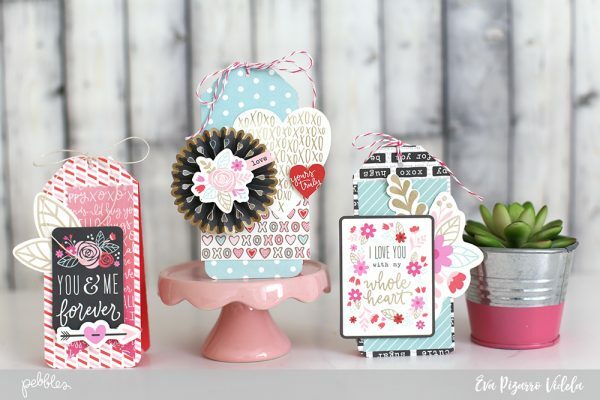 I just LOVE the combination of the diagonal stripe paper, Follow Your Heart and floral print, Sprinkled Blossoms, so I decide to use them as my feature papers on all 3 cards. 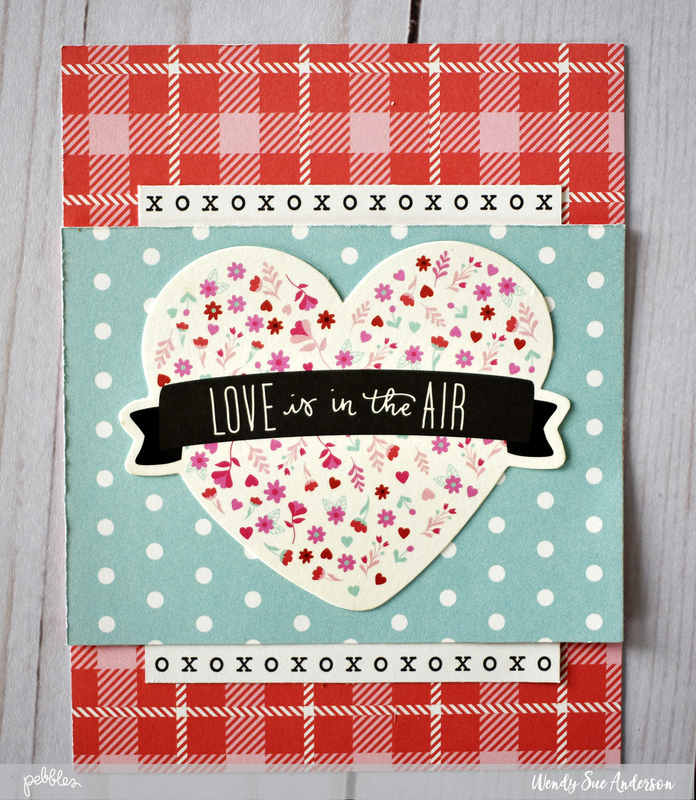 Here’s my first card which is for my One True Love, “I Think About You A Lot”…. 1.Trim pattern paper Follow Your Hear to 8 1/4″ wide x 6″ long. Score and fold in half to create your 4″ x 6″ card. 2. Trim pattern paper Sprinkled Blossoms to 4″ wide x 3 1/2 ” long. 4. Tape the journal card and ephemera into position. 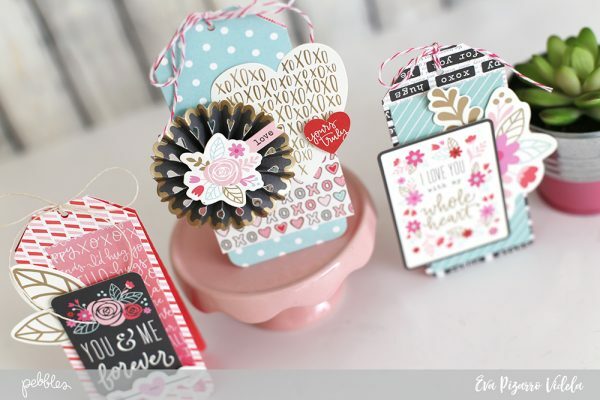 Use adhesive foam dots for the sentiment, to make it ‘pop’. 5. 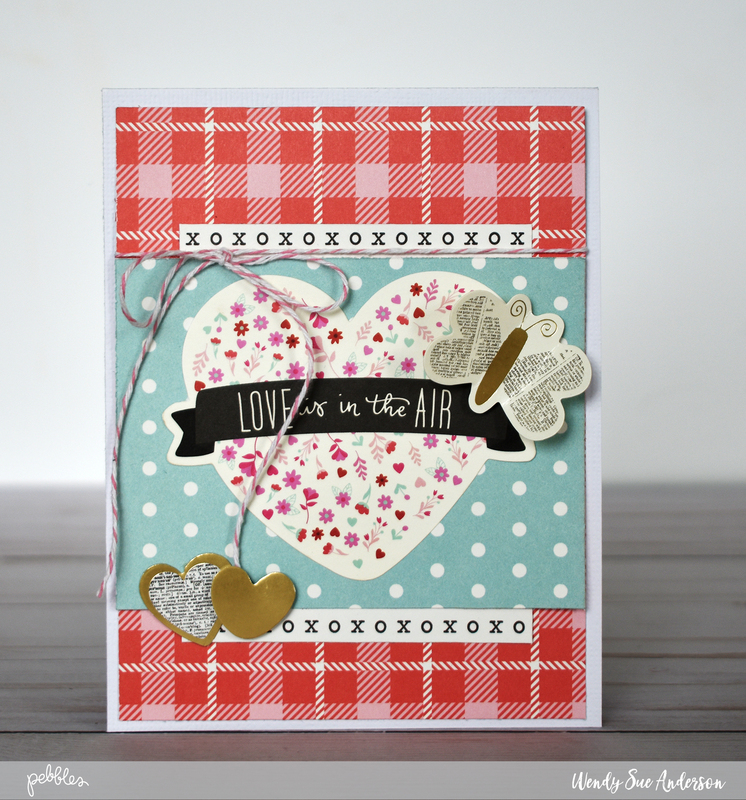 Embellish with a sewn button, and some fabulous Forever My Always 6 x 12 Stickers. Voila! 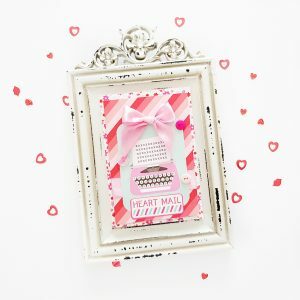 Next up is this fun Valentine for my tween-age daughter, “Heart Mail”….. 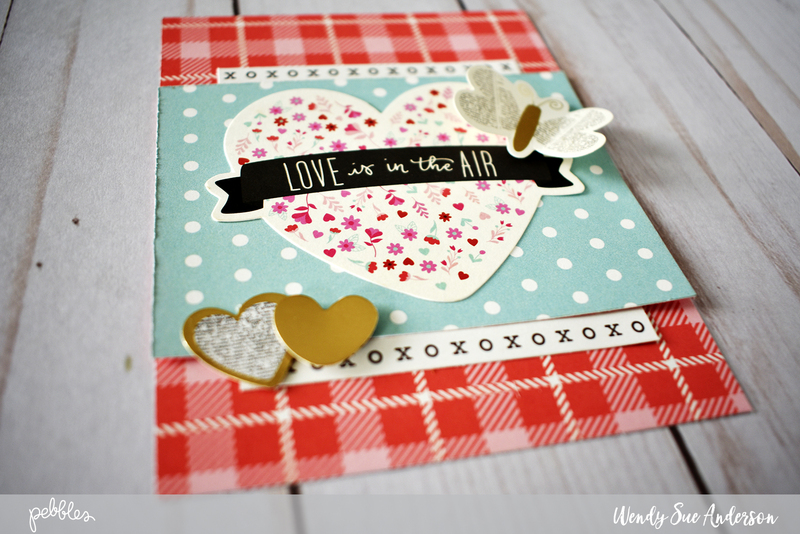 Still loved up and oh-so-pretty, but much cooler for a young girl! 1. Trim pattern paper Sprinkled Blossoms to 8 1/4″ wide x 6″ long. Score and fold in half to create card base. 2. 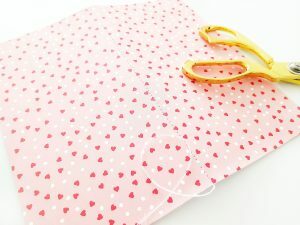 Trim pattern paper Follow Your Heart to 3 3/4″ wide x 5 1/2″ long. Tip: To make this card less formal and more ‘young ‘n’ fun’, I use my Becky Higgins Project Life Corner Rounder Punch on my 3 x 4 card. Such a simple, but effective result! 4. 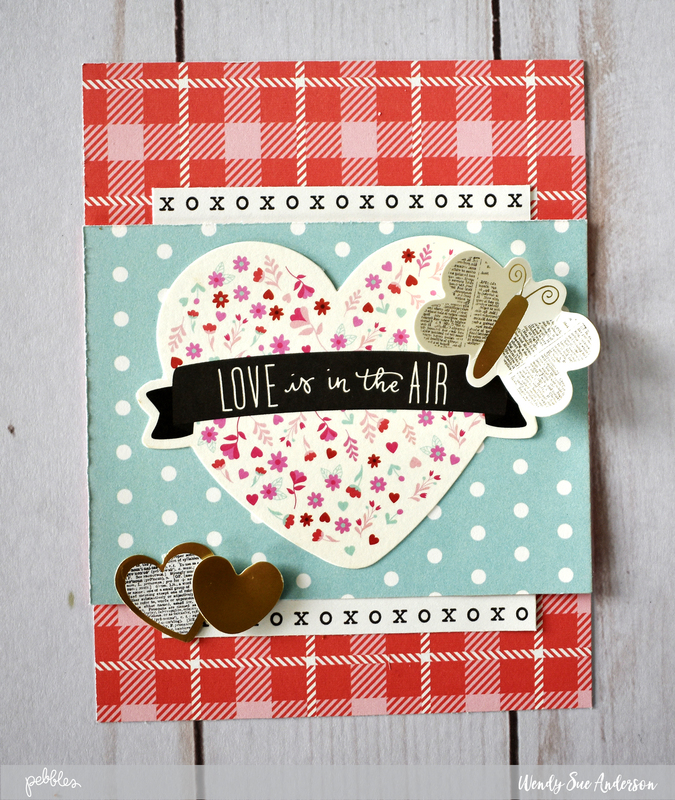 Using thick foam tape, attach the Follow Your Heart embellished paper to the Sprinkled Blossoms card base. 5. 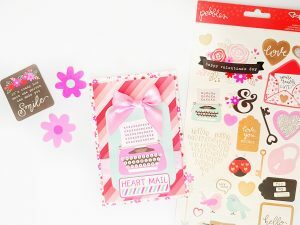 Embellish with the Heart Mail 6 x 12 Sticker & a few buttons from your sewing kit. 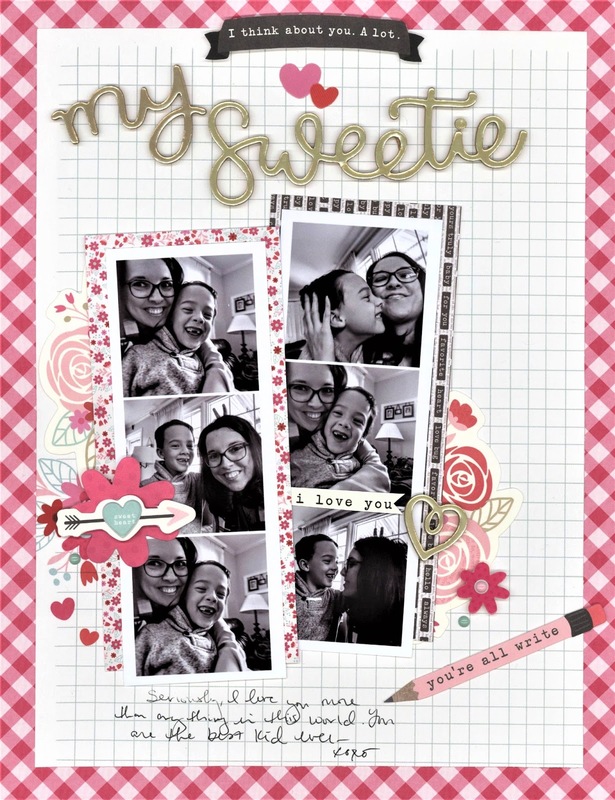 Last, but by no means least, is this lovely card for my darling Mister 5, “You’re Pretty Much My Favorite Person”…. 1. Trim white cardstock to 8 1/4″ wide x 6″ long. Score and fold in half to create card base. 2. Trim pattern paper Sprinkled Blossoms to 4″ wide x 3 3/4″ long. 3. 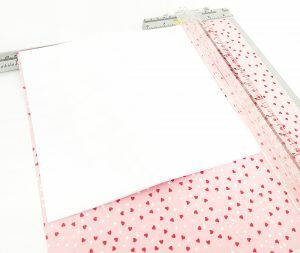 Trim pattern paper Follow Your Heart to 3 1/2″ wide x 5 1/2″ long. 4. 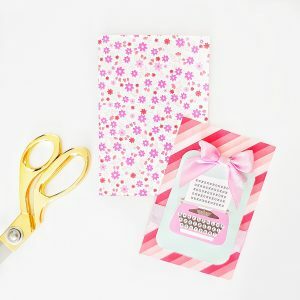 Tape the Sprinkled Blossoms paper to the bottom of the cardstock base. 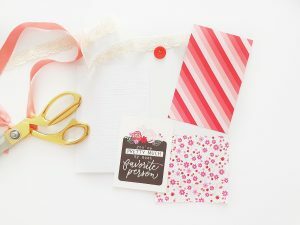 Attach satin ribbon to Follow Your Heart paper, and then tape this pattern paper over the top of the Sprinkled Blossoms and white cardstock base, as shown below. 5. Apply foam dots to the XOXO Quotes 3 x 4 card, and then position over the ribbon trim. 6. 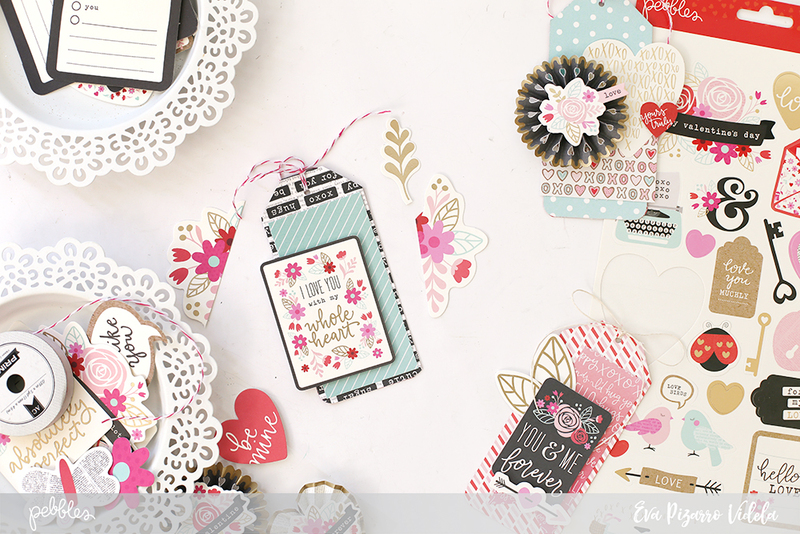 Embellish with lace trim, button & twine and another of those fabulous 6 x 12 Stickers. Voila! Three papers, 3 very special Valentine’s Day cards. 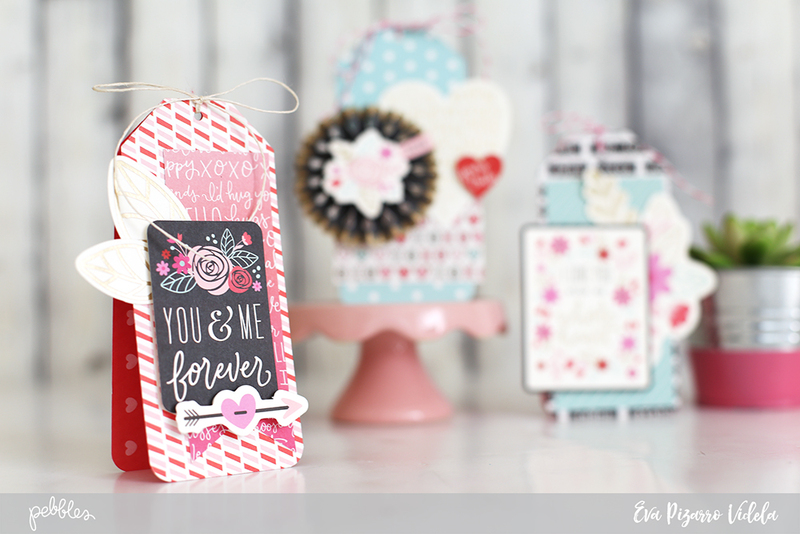 I hope I have inspired you to get creating with our beautiful Forever My Always collection! Hello everyone! It’s Eva Pizarro on the blog today showing you how to create some folding tags using our Valentine collection: Forever My Always. 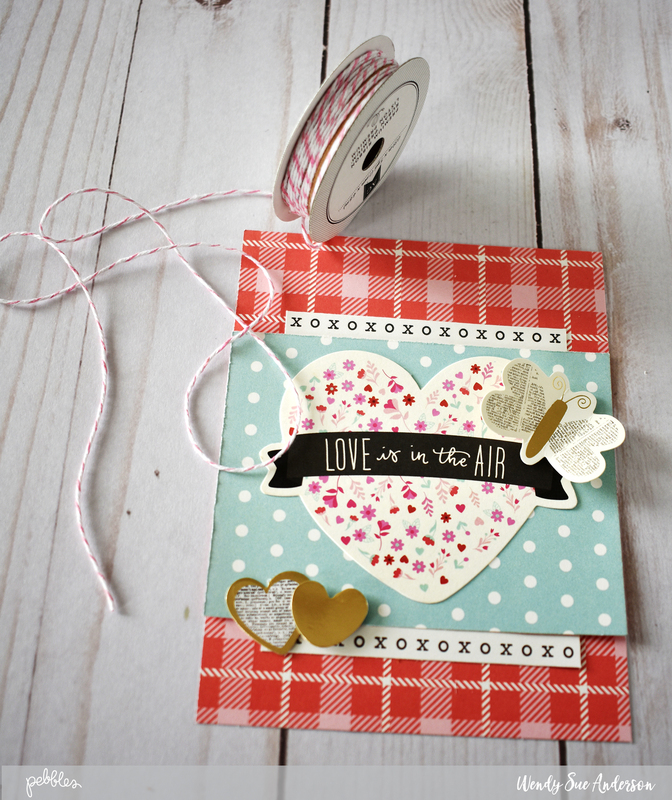 I love to give Valentine’s cards but sometimes a little tag is enough and easier to make. I decided to mix these two and created this folding tags, they are great to accompany a small gift. To make them, cut 2 1/4 x 9 1/2 inch strips and bend them in half. 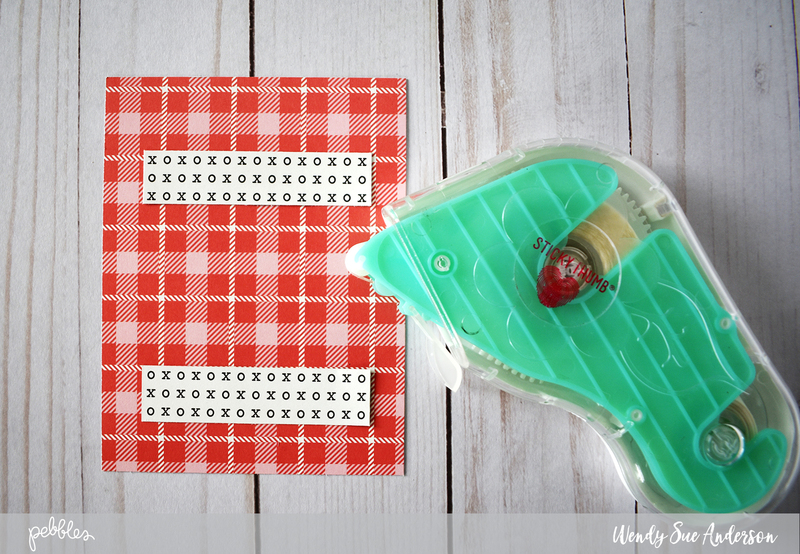 Use the new Tag Punch Board and cut triangles on the bend side. This board has a hole piercer too so there’s no need to use another tool! 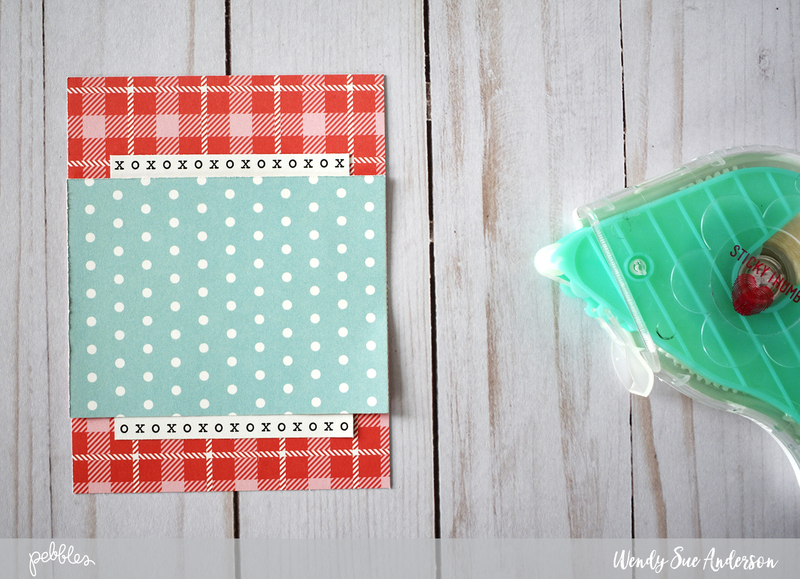 Use the 3 Way Corner Rounder to round the edges of your tag. You can choose 3 different looks with this tool! Next, use die cuts, rosettes and stickers to embellish your folding tags. My favorite elements are the rosettes, they are super cute an with one accessory you add texture and depth to any project. When decorating the folding tags I like to use bigger elements that go outside the edge of the tag, I think it gives a playful look! Now your tags are ready and you can write a small message inside for all your loved ones. 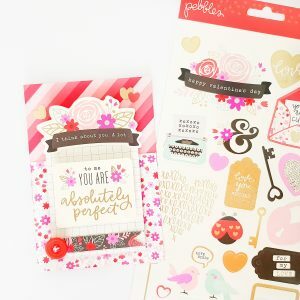 The die cut package in this collection includes many cute phrases that are perfect for quick and easy cards! 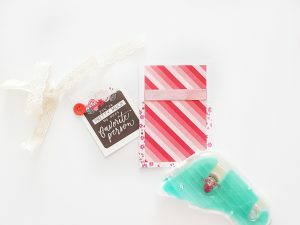 Thank you for visiting our blog and I hope that I can inspire you to create some folding tags for this Valentine’s Day! Hello friends! 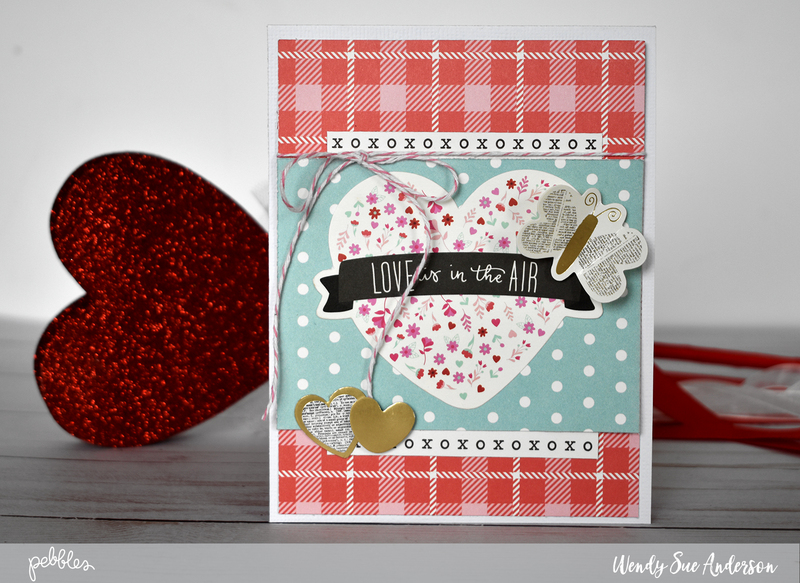 It’s Wendy Sue here today and I just have to say…isn’t it crazy that Valentine’s Day is just around the corner? 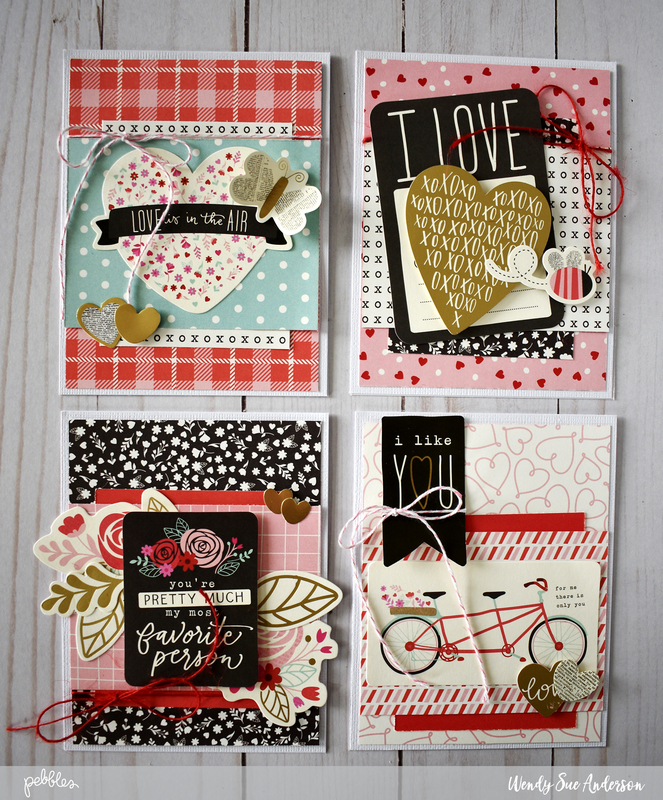 I wanted to get a jump start on my handmade cards and couldn’t wait to dig in to the “Forever My Always” collection! Here’s a look at the first card I put together! Keep reading to see how easy it came together! Now tie some baker’s twine around the card, because baker’s twine is awesome! Finally, place the entire piece on a white card base! 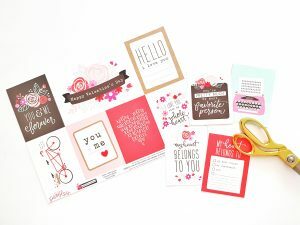 If you use this process to create your Valentine’s Day cards, please share a link to your projects – we’d love to see!! 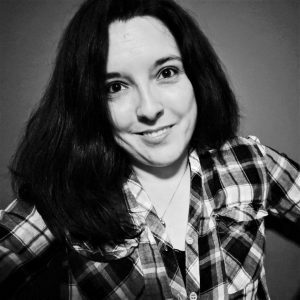 Amanda here, & I hope the New 2018 Year is bringing you much joy! If you’re like me, and feeling a lil behind, overwhelmed or just needing to be more organized for the busy year ahead, then today’s post is for you! 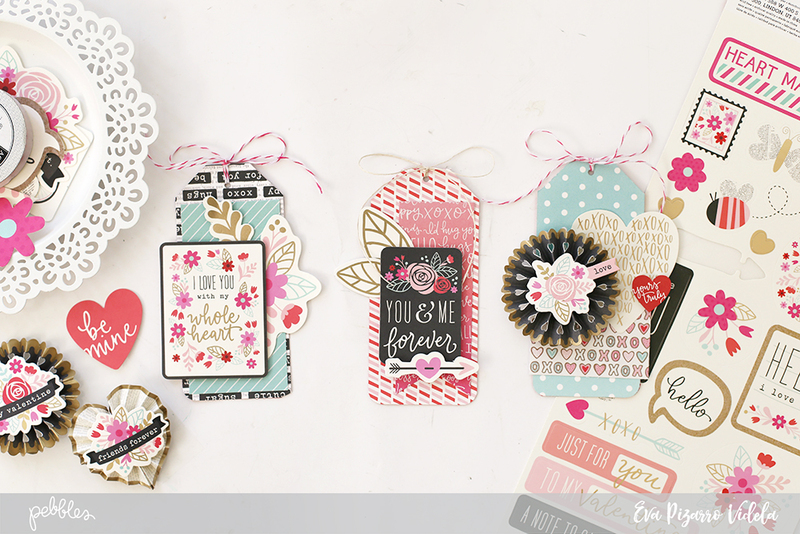 As soon as I laid eyes on our gorgeous Forever My Always collection I just knew I had to use it for my TN journaling! Let’s make the everyday ordinary things special too! Let’s make ALL the pretty things! After all, it’s a beautiful life! Here’s what I have created to help me conquer 2018! 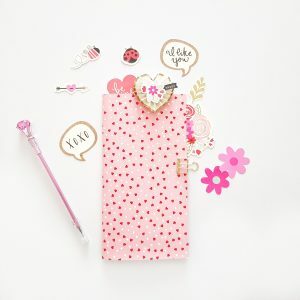 How CUTE is this Pebbles Traveler’s Notebook?!! If nothing else, my 2018 is going to be pretty!!! 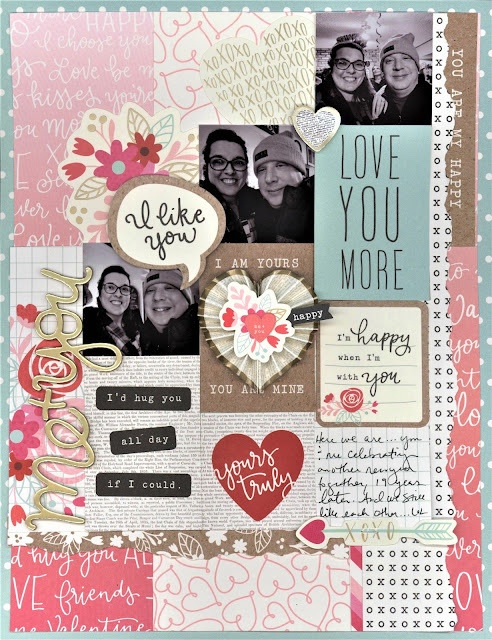 Here’s a sneaky peak inside too…..
Adore this! 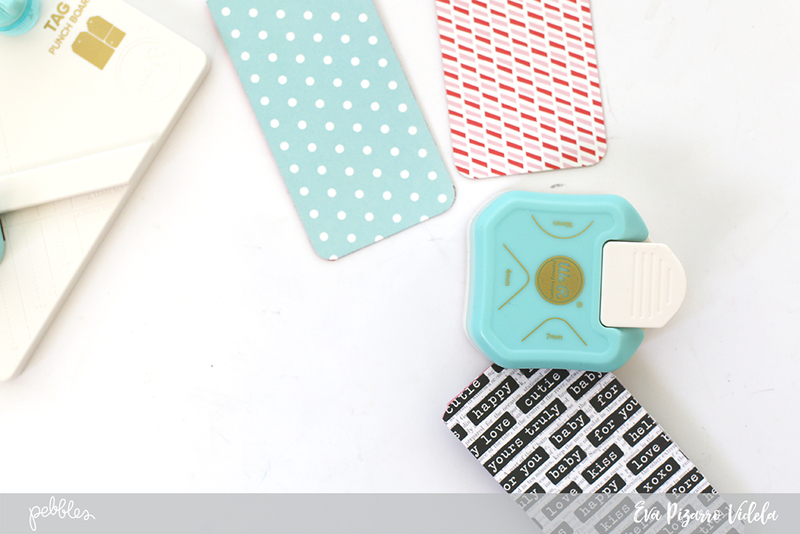 Being organized never looked so good! And the best part, it only takes a few minutes to create – perfect for this modern, busy world we live in! Start with your insert paper. I use a good quality A4 copy paper for my everyday lists. Trim to 8 3/4″wide x 8 1/4 long. 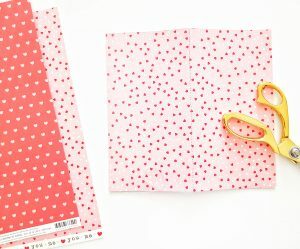 Select pattern paper for cover, (I use the sweet Love Labels for mine) and place the insert paper over it – as shown below. Ensure the cover is just the tiniest bit bigger to allow for full coverage of the inserts, and trim. 3. 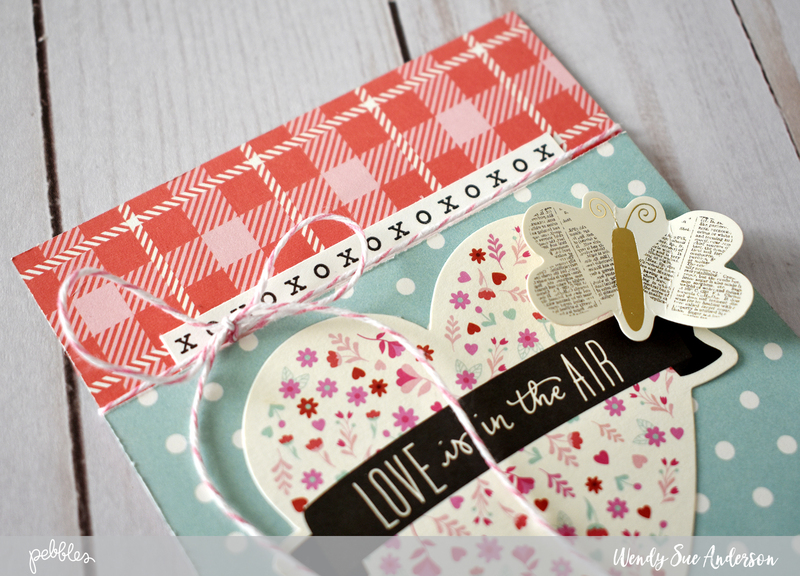 Score both the inserts and patterned paper cover, and fold in half. Sew, staple or hand stitch the spine to complete. I sew mine with my machine on a larger stitch, slow speed. Here’s a closer look at how neat the stitching is…..
Super sweet! Use this technique to create as many Notebooks as you need! 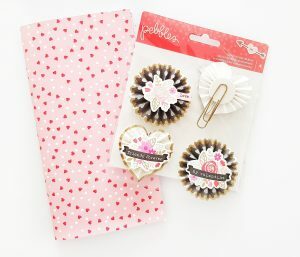 A good page marker is always helpful – create a stunning rosette clip with the Forever My Always Rosette Stickers and a paperclip. Too easy! For my TN spread, I use the reverse side of the pattern paper barcode strip, Date Night. Tip: These sample strips at the bottom of 12 x 12 papers make an excellent alternative to washi tape! A page marker and some faux washi make such a difference! So simple and yet so effective! Next, I decorate with a couple of the Cardstock 6 x 12 Icons & Accents Stickers. 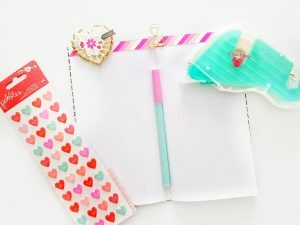 That pencil is just perfection for this planner / notebook! I trim pattern paper, Sprinkled Blossoms to 2″ wide x 2 1/2″long to create some full boxes. 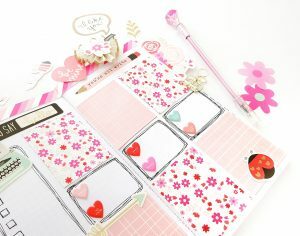 A great alternative to planner icon box stickers, and it really defines my TN layout. I continue to define my TN spread with a few hand drawn boxes, as well as my check list to the left hand side. 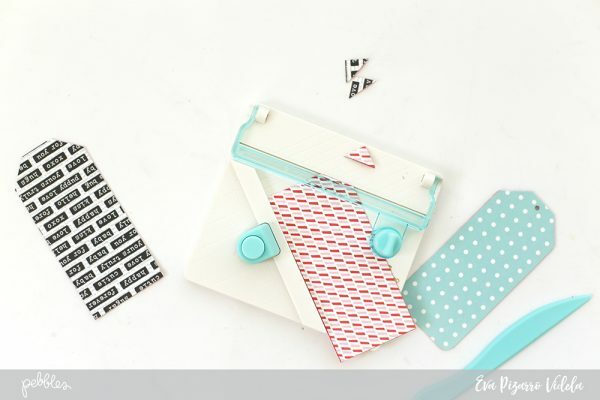 The typewriter sticker couldn’t be any more adorable, and embellishes my long list. I add Puffy Stickers to my half boxes, serving as bullet points. Looking good! For finishing touches, I embellish with more cute stickers, and Die Cuts! And there you have it! Super quick (and really pretty! 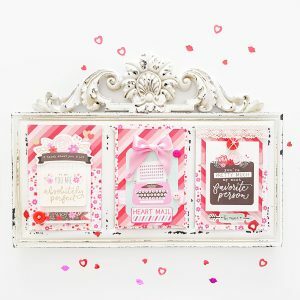 )crafting to keep you organized! I hope I have inspired you to make your own Travelers Notebook with our beautiful papers and embellishments!